Dovetail Construction Management LLC. I am a construction manager for high end and detailed oriented projects and people. 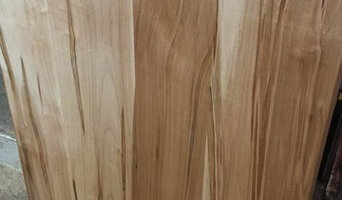 I grew up in the business and have a vast knowledge of finishes, complexities and costing of residential projects. I have dozens of happy clients and successful projects. Shoot me and e-mail or call if you would like to discuss your project! 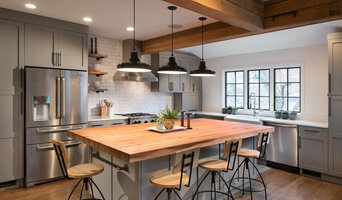 Hammer is an award-winning design, build, and remodel firm specializing in high-end design and craftsmanship, including kitchen and bath, whole house remodeling, additions, and other major home remodeling projects. At Hammer, we provide our customers with the highest quality design, craftsmanship and customer service. Amazing - that’s how you will describe your experience with us. Hammer is a family-owned business serving MD, DC, and VA with over 30 years of kitchen and bath design and build experience. With every project and relationship, we look to make a positive impact on our community through our staff, craftsmen, and you -- our customer. We offer architectural and design services, including a dedicated personal designer from project start to finish. Also through the use of cutting-edge project management tools, we are able to keep our clients in the project driver's seat throughout the process. 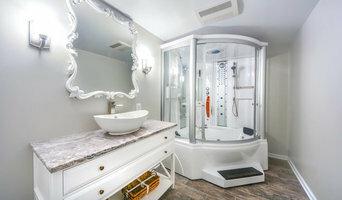 Services provided include: kitchen and bath, whole house remodeling, additions, architectural services, interior design, kitchen and bathroom design, remodeling, renovation, outdoor kitchens, and custom cabinetry. Additional service areas include basement finishing, exterior projects, and serving as the general contractor. Tradition Homes was founded in 2006 by brothers George and Steve DeFalco with clear goals: focus on homeowners’ needs, build attractive designs with quality materials, and respect neighborhood architectural integrity. Voted Best Builder in 2013 by Arlington Magazine readers, Tradition Homes combines skill and talent with passion for creating beautiful custom homes in Arlington, McLean and Falls Church. The brothers decided early on to make the process transparent. “Our customers know exactly what is being used to build their homes,” says Steve DeFalco, “not just the finishes but what’s behind the walls.” Tradition Homes’ customers can customize any feature of their homes. “Some customers prefer to design from scratch; others can start with one of our plans and tweak a wall or porch to suit them,” says George DeFalco. Whatever the customer’s goals, Tradition Homes can guide them through the entire architectural, construction and interior design process. “My job is to narrow the universe of choices and to achieve their vision for the home inside and out,” says Amanda Needham, the firm’s interior designer. Whether planning for a future elevator by stacking closets or simply tracking down the perfect backsplash tile, the Tradition team helps customers with style and substance. The company employs an expanding team of award-winning architects; project managers; kitchen, bath and interior designers; and engineers. Tradition Homes was included in the 2012 Washington Business Journal’s 50 fastest growing companies. Tradition Renovations handles remodeling with the same care and many of the same resources as Tradition Homes utilizes for custom homes. 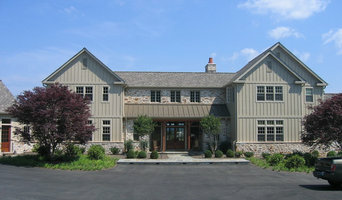 Both companies are committed to craftsmanship, energy efficiency and curb appeal for homes with lasting beauty and value. Design-build firms take on the responsibilities of architects, contractors and construction companies, all under one roof. These full-service firms focus on a streamlined design-build process — from the initial design to the estimating phase to physical construction — in the hope of creating an efficient experience for both the client and the company. Because the entire project is happening within one company, Woodlawn design-build firms are able to overlap the design and construction phases of the project, which often speeds up the project significantly. In addition, these firms work to minimize risks for the project owner through single-point responsibility contracts. However, depending on the firm, you may still want to contact an interior designer or architect to help create the exact look you want. Here are some related professionals and vendors to complement the work of design-build firms: Interior Designers & Decorators, Landscape Architects & Landscape Designers, Architects & Building Designers, Photographers. Before deciding on a residential design-and-build company in Woodlawn, MD, think about what you want from your new home. Do you want a large kitchen for entertaining? Do you need several bedrooms for children and guests? Do you want a finished basement for extra space or storage? 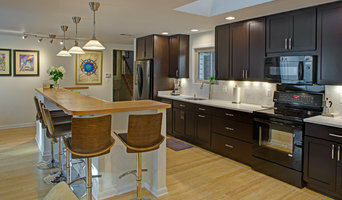 Look for Woodlawn design-builders that specialize in the areas you're looking for. Budget is obviously a determining factor in the outcome of your project. To make sure you stay within your means, consider making a must-have list and a wish list. Gauge where the estimates are falling to determine which design-build contract can realistically strike the balance between the two. Find a Woodlawn design-build company on Houzz. Narrow your search in the Professionals section of the website to design-build firms in Woodlawn, MD. You may also look through Woodlawn, MD photos to find a pool you like, then contact the design-build firm that created it.